All this attitude is a sum total of covetousness. It’s defined as “having or showing a great desire to possess something belonging to someone else”. Setting your heart on what you don't have is a miserable way of life. Let us all take a different approach today by starting to appreciate the little things. 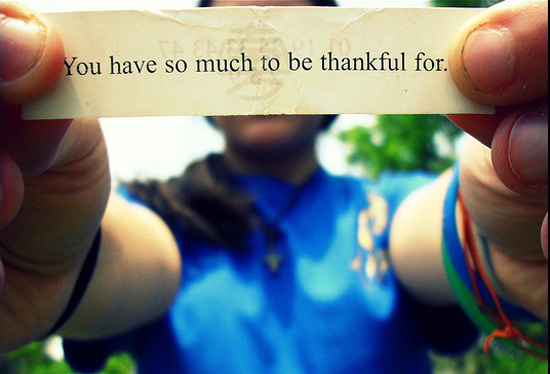 Adopting a grateful attitude will make the world a better place for everyone. According to research, it was noted that people who practice some form of conscious gratitude; are more healthier, sleep better, exercise more regularly, feel more optimistic, more progressive towards goals, they are more alert, enthusiastic and could handle stress much more effectively. We need to practice looking at the cup half full rather than half empty. Little things matters a lot, a dripping tap soon fills a bucket until it is overflowing. This concept is true in life and developing appreciation spirit is no different. We ought to practice been gratitude. I believe that some people are naturally more optimistic than others but if we all start been grateful, it will eventually lead to some degree of optimism. Appreciating the small things in our day to day life will lead to greater level of happiness. When someone hold the door for you, when someone smile at you, when you get a lift home from a friend, compliment at work and our lovely families that stuck by us through the good times and the bad times are all the things we need to be thankful of. Giving thanks to God day by day is a way of acknowledging that dependence. However when we do not or forget to give thanks we’re literally saying that we are entitled and we believed that we have what we have based on our power, strength and our knowledge. In psalm 33: 16-19…… the bible talked about where we put our dependent, on the strong horse or on the large army /the strength of a warrior or God? O gives thanks unto the Lord, for he is good: for his mercy enduret forever. If not for his mercy! I'm sure we all have something to be grateful for, I challenge you to make a gratitude list of every good things in your life. It does not have to be big. 1. I thank God for all the beautiful people that God has placed in my life. 3. For the Good health he has given me and everyone I know and do not know of.